The Martin Yale 1711 Ease-of-Use Paper Folding Machine saves time and money. The Martin Yale 1711 Electronic AutoFolder is an easy to use high speed folding machine. It is an automatic folding machine, you just have to place the paper to be folded in the stack, and it'll automatically feed and fold them. The1711 Autofolder can fold up to 150 sheets, sized 8 1/2" x 14". It has a speed of 9000 sheets per hour, and can fold in 6 different types. 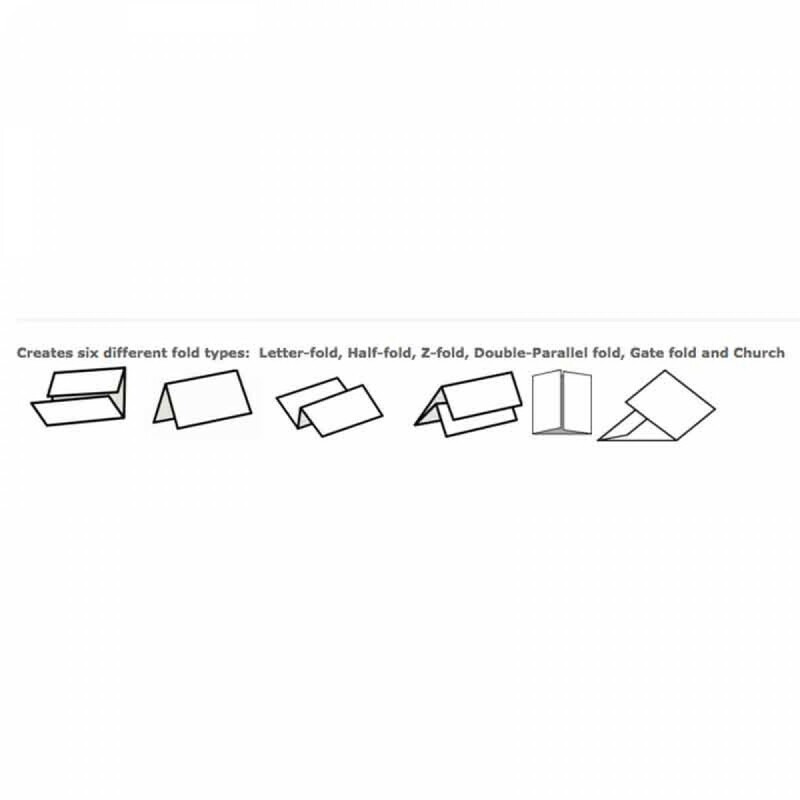 These types are letter, half, z-fold, double parallel, gate, and church. Features of the 1711 Autofolder include improved feed system, improved stacking wheels, easy access to rollers, removable fold tables, and self centering paper guides. Using the electronic controls, you can automatically preset letter, legal and A4 with 6 preset fold types. You also have the option of electronically adjusting fold tables for custom folds. 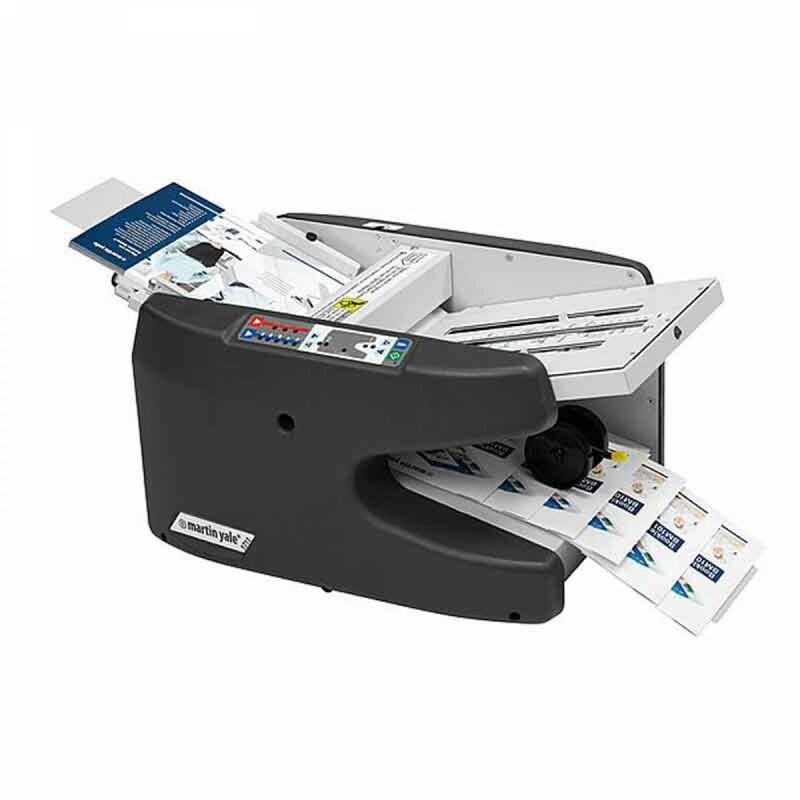 The Martin Yale 1711 Electronic AutoFolder is perfect for large mail-rooms and offices where ease of use is important. Automatic folder with easy manual set up and automatic feed. Ease-of-Use electronic controls automatically pre-set letter, legal and A4 paper sizes with a total of 6 pre-set folds and electronically adjustable fold tables for custom fold. Removable fold tables, easy access to rollers, improved stacking wheels, and self-centering paper guides. High speed machine automatically feeds and folds a stack of documents up to 8 1/2" x 14". Enhanced precision paper skew adjustment. Creates six different folds: letter, half, z-fold, double parallel, and gate. Feed table capacity of 150 sheets. Stapled/Unstapled sets of up to 5 sheets can be folded by hand-feeding documents into the feed table bypass.